On Thursday (May 13) Jordi Savall plays a solo viol recital in the 15th century church of Saint Peter Mancroft in the centre of Norwich as part of the Norfolk & Norwich Festival. Two days later he performs his multi-cultural masque Jerusalem across the road in the multi-purpose Theatre Royal. It is going to be a very interesting three days acoustically as well as musically. The early music legend is familiar with the acoustic of the 15th century church of Saint Peter Mancroft as he performed his Orient-Occident programme there to great acclaim two years ago. But the contrast with the Jerusalem venue could hardly be greater. The 1300 seat Theatre Royal was rebuilt in 1935 following a fire to a standard design used for Odeon cinemas. Due to its cinematic pedigree the sound in the steeply raked auditorium was notoriously dry until a 2007 refurbishment. As described here previously the refurbishment included installing the French CARMEN® sound enhancement system. Digital reverberation has transformed the sound and since its installation the Theatre Royal has hosted leading performers including the Britten Sinfonia, Glyndebourne Touring Opera and Philip Glass. But quite what will happen when digital reverberation meets shofars, the Greek text of a Sibylline oracle and a 1950s archive recording by an Auschwitz survivor will be revealed on Saturday. An intinerant musician's life must be a very interesting one. From a 1935 recycled Odeon cinema in Norwich Jordi Savall takes Jerusalem to the festival of sacred music in Fes, Morocco and the historic fortress of Bab El Makina. But it is a mistake to assume that performers always prefer atmospheric old venues to better equipped modern ones. 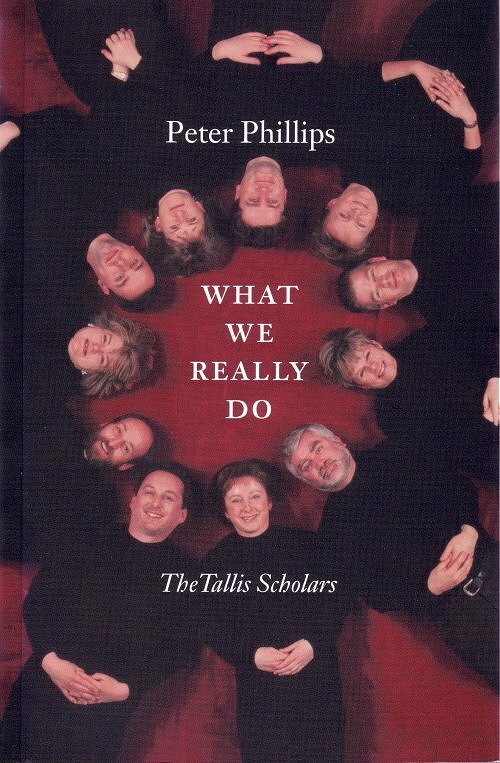 What We Really Do is an engaging book by Tallis Scholars founder Peter Phillips, and it comes down firmly on the side of modern auditoriums with their better facilities and often better sound. The thought provoking book also expresses Peter Phillips' outspoken views on recording techniques (many Tallis Scholars CDs are recorded here in Norfolk in Salle Church), the Machiavellian style of corporate record labels and much else. 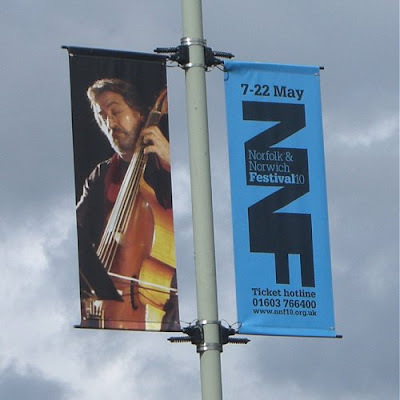 Hear the ambience of Saint Peter Mancroft for yourself, my just in time interview with Jordi Savall was recorded there, while my Britten Sinfonia pre-concert talks were recorded on the stage of the Theatre Royal. Minimalism's poster boy is here, and classical music's poster boy is here. It'll be interesting to see (or hear) if the idyllic backdrop of St Peter Mancroft is affected by Norwich City FC's victory parade on Thursday night! Thousands of football fans celebrating within a stones throw of the solo viol delights of Marais, Saint-Colombe and Forqueray. A musical concoction even Jordi Savall may not have dreamt of! Keith, I have just spoken to Richard Balls, communications officer at Norwich City Counil. He says the council "sees absolutely no conflict" between the Festival events in the city centre on Thursay evening and the Norwich City FC victory parade.